I could not believe my eyes when I read a recent post about Dr. Narendra Dabholkar by Dr. Subramaniam Swamy. It could not be true. I always knew that Subramaniam Swamy was and is rabidly religious to the point of absurdity, but he had touched a new low here. Some months ago, I had commented on some of his more rabidly Hindu posts with a rational response and since then his Shankhnaad team has blocked my comments entirely on all his social media platforms. Though this article has reached scores of his followers on Facebook, I feel it is my moral duty to point out to as many people as I can the vicious nonsense that Swamy has in this case spouted without any research. As a rational human, I will repudiate his article and make no allegations around the man himself (who is none of my concern). - "Though I doubt how much actual reforms you actually do, it's appreciable if that helps people"
- "Well, thanks for support"
- ".. you're welcome. But I feel you guys use this activism as a garb to attack every thing of Hindu faith. Why so?" - ".. how else do you suppose we receive FCRA funds in millions from abroad?" 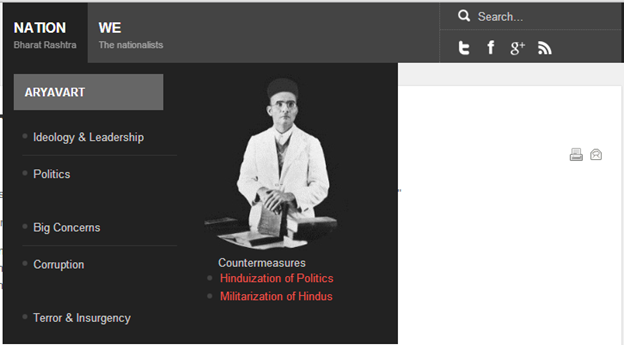 - "I rest my case"
Countermeasures to corruption, terror and insurgency are “hinduization” of politics (whatever that means) and militarization of hindus! I can’t even begin to enumerate the reasons why this is not secular. Politics and religion should be kept separate. Religion and state should have a clear demarcation and this website is propounding not only the exact opposite but also the militarization of citizens. The article’s title and its label on this website is a clear indication that this is a hack-job done without any research. The article’s category is “communists”. There is no reason for this. Absolutely none. Narendra Dabholkar had nothing to do with communism. Zit. Nada. He was simply a person fighting against the adverse effects of religious superstition. While I ignore the typographical and grammatical errors, I simply cannot ignore the venomous tone of this article. Dr. Dabholkar fought all his life against religion and superstition. It is not only the “left” that proudly declares him to be a rationalist but common sense that will make each and every person declare so. He had no particular leanings towards either the left or the right. He was simply advocating reason in an irrational country. And was gunned down in broad daylight for it. FCRA Fraud – The article alleges that Dr. Dabholkar received foreign contributions and did not report these foreign contributions under the Foreign Contributions Regulations Act of 2010. The article only presents the covering letter that the Hindu Vidhidnya Parishad sent to the Ministry of Home Affairs. This letter alleges that Dabholkar has been receiving contributions from foreign sources for years. An allegation IS NOT proof of wrong-doing. Far from it. The actual letter posted on the website has no proof attached. Coming to the actual allegation, the letter talks about contributions that MANS has received for “years” from foreign sources. Points to highlight here are that MANS (Maharashtra Andhashraddha Nirmoolan Samiti) is NOT an election candidate, NOT an MP or an MLA, NOT a Correspondent, columnist, cartoonist, editor, owner, printer or publishers of a registered Newspaper AND therefore CAN accept foreign contributions as long as they are reported. Furthermore, the actual allegation (though no proof thereto is attached) is around money that Narendra Dabholkar himself forwarded to MANS. This money was actually given to him as a prize by the Maharashtra Foundation (which is based out of North America). It was not a contribution. It was part of a lifetime achievement award that this organisation bestowed upon him. Instead of accepting this prize money (which Dr. Dabholkar very well could have), he forwarded it to MANS. Quite a noble act/gesture I would say. Forgery – Appendix B of the article showcases a letter that Dr. Dabholkar sent to the Charity Commissioner of Satara as a no-objection to his re-appointment on the board of the trust (MANS is registered as a trust). The by-laws of the trust prescribe that members of the board have a certain tenure but at the same time also allow re-appointment after that tenure has ended provided the trustee (ex and to-be) provide a no objection certificate. The only reason the designation on the letter-head is changed is because when Dr. Dabholkar submitted the letter, he actually was not part of the registered trust and therefore using the old designation would have been inappropriate. There is no change of date. The letter was written in 2000 and Dr. Dabholkar is simply stating that he has been part of the MANS trust since 1998 and that he has no objections to being re-appointed. Alleged links with left-wing terrorists – These are just that; allegations. There is no basis in truth to these allegations and never has been. Shailesh Wakade, Naresh (there’s a typo in the website which refers to him as Narendra) Bansod and Narendra Bhurle were small-time/part-time activitsts of MANS. However, the police cleared them of all suspicion and set them free after due investigation. The fact that they attended certain events which were organised by people with Naxal links (as activists of MANS, they travel to rallies, events and gatherings to speak about superstition and the adverse impacts thereof) does not mean that they were Naxalites. They had no information about the nature of these events and were cleared of all allegations. The fourth point is a reiteration of the third one. The letter that is attached as evidence is again an allegation that the Hindu Vidhidnya Parishad (HVP) has filed with the income tax office citing irregularities in the financial dealings of the trust. The point I am trying to make is a simple one. 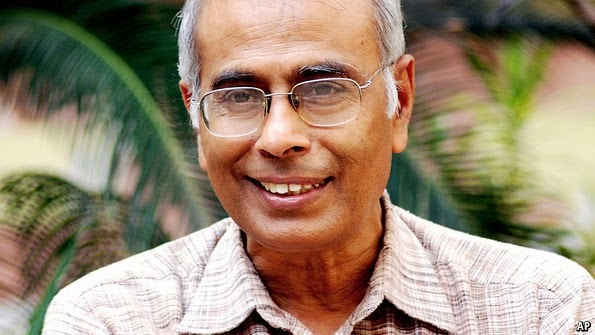 Narendra Dabholkar was an honest man. He spent his entire life trying to eradicate superstition from our culture. The falsehoods presented by this Shankhnaad article proffer a skewed picture of the man and harm his legacy without reason. MANS is a very small organisation whose sole intent is to educate the masses. They have no wealth. The activists pool in money themselves for events and initiatives they undertake. I have worked with them in the past and it was inspiring to see the passion and the commitment which they bought to all that they did for MANS despite having jobs and families of their own. The few days that I spent in an event organised by MANS revealed a dark and depressing side of humanity from which MANS was working perennially to raise the masses from. The shocking acts of cruelty that I saw religion perpetrate have left scars on my psyche ever since. Frauds who proclaim miracles using sleight-of-hand, sadhus beating women to exorcize “evil” within them, babas standing on the chests of babies to relieve them of a spirit who has taken their possession, believers who sacrifice their own daughters to fictitious gods. The list is endless. These are the social evils that MANS is fighting. MANS is not against religion. MANS is against superstition. And if fighting against superstition means fighting against this form of religion, then so be it. There are so many trusts, charities, NGOs and people who are actually defrauding the public of much larger amounts of money. Why is the HVP not gunning after them? Why are they systematically targeting one man and one trust? The reason is obvious. Rationality is a danger to organisations such as HVP. A thinking, educated man is a danger. A person who asks questions about hide-bound faith is a threat. I spoke to Milind Deshmukh who is a life-long advocate of reason and a senior member of MANS. Though he assisted all my efforts to write this article, he also mentioned that I would learn in time that there is no use in giving such organisations or people sanctity by even responding to such allegations. While I agree with him in all that he said, I could not help write this post; just to make peace with my own conscience. People like Mr. Deshmukh and Dr. Dabholkar lack a mouthpiece to defend them. I can be the mouthpiece (in my own small and humble way).